Back to reality, stay warm this winter everbody!! GIVE AND GIVE AND GIVE AND GIVE!! All is within. ONE LOVE!! Beautiful message! No revenge, sooo glad. Don't like that stuff. I would have to agree that humans are a violent crowd at present... attack first, think later and this is a dangerous trait at times of change in particular as it can make people feel vulnerable. I guess we can help by refusing to believe that this level of abuse of humanity can continue on any level. I have been learning about trauma based mind programming, the Monarch etc. By 'virus', I am wondering is this tendency being passed along via the high concentration reptilian DNA? The lack of empathy I understand may have been bred out of the cabal blood lines. Can this be remedied such that the cabal will be able to percieve the effects of harming people and thus be harmless again? Gratitude, I think we all need this message, it's hard to keep morale up for some of us and there is a toll of living almost in 2 simmultaneous realities. The mind programmers must have learned their techniques from someone. And what if the arch-cons have taught them that and they (arch-cons) have been using it since eons of time on humanity? Excellent article from Lisa! I was reading it yesterday and was inspired to share it with my coworker. So during our lunch break I read the whole thing out loud and very forcefully called out the commands in the clearing. Well....we both got HUGE chills that went on and on. Then she said...do it again, just in case!! Hahaha, we felt great afterwards! Very well written for the logical, computer driven masculine minds ready to be cleared. I love Lisa Renee. Thanks for posting this Crystal Ball. Are you going to the Laguna conference? I thought I read somewhere that you're in LA? Yes, very powerful indeed. I would recommend this article to everyone - male or female, coz we all embody both aspects in our bodies. I moved to north western part of the europe about 8 years ago (not to mention the oppressing energy around this area, which is very heavy and never encountered such dense energy somewhere else), but i rather see it as assignment. I would so gladly attend one of the conferences, especially one in Egypt, but my current circumstances won't allow it. But lets see how it all plays out. The Lisa Renee set of clearing commands was so phenomenal, so perfect, it worked immediately. Emotionally, I was being pounded into the floor and then I was up, in a state of forgiveness. The trauma stretched back to infancy. I read Cobra's next entry first and posted the commands from Lisa Renee's website on the that page. Thanks for the info Cobra! This makes sense, your posts are always consistent and direct. I suspected we wouldn't have actual first contact before end of year, but it would at least be good to get some broadcasts, and disclosure going before year is out to help people understand the significance of the Dec. date so there isn't so much wondering and fear from those uninformed. Sheldan's been talking about an upcoming collapse of the Global Economy and funds being redirected, so I take it the behind the scenes folks are making some real progress, hope the Archons are synchronostically cleared before this time so as to make it as smooth as possible a transition to new Financial System without their influence! Keep up the good work, see ya over Tday weekend in Laguna! Finally, an update that makes sense! Without clearing the astral and etheric planes first, it's useless to remove the cabal. Everything might end up in utter chaos and in this case, it will be very hard to bring some normality back. The state of astral plane is not a wide discussed or well known topic, but the influence from these non-physical planes on humanity is enormous. I think rising our consciousness, liberating (like getting rid of the mind control scripts, imprints etc.) and healing ourselves are probably the best that we can do at the moment. I've basically come to the point where I don't believe we'll ever get to the Event. Thus, what's the point anymore? Belief is useless, to me -- whether for or against the Event as described here, or anything else. What is useful to me is hanging open in uncomfortable uncertainty, and admitting that I have next to no direct knowledge about the various scenarios described by Cobra here. Nevertheless, I do have a strong and, what I consider to be, reliable intuition, which does resonate with certain qualities in Cobra's ongoing communications, in both form (succinct, context-rich, and quite direct) and content. I completely allow for the possibility that everything Cobra is conveying is authentic and legitimate. Fortunately, uncertainty is of such a fluid and open quality that it need not give into belief in order to be able to appreciate the possibility that this information is real. So I say: forget belief. It secretly closes the mind, whether one's belief is for or against. Alternately, to hang open in uncertainty -- is to engage in ongoing freefall. It is direct, dynamic participation in unknowns, as well as in The Unknown. It is uncomfortable, but also inherently wise. In this manner, uncertainty is always appropriate, and never offensive. And: it has the added benefit of always permitting discernment to be at its sharpest. philavox, you have hit on an important key point. Dwelling in 'the void' as it is sometimes known, is not a comfortable place to be, and many times it is avoided at all costs, but it is a necessary part of the spiritual journey where death and regeneration are concerned. Trust in YOURSELF: that you have all you will ever need inside of you, and Trust in a HIGHER POWER: whether that is your own Self or a Divine Source. These aren't just rosy words, and to get to this point takes some work. But in times like these, any efforts will serve up definite rewards. Connecting the two dots, trust in oneself and a higher power, brings one to the understanding and comfort, that you can ride these high waves of uncertainly Knowing that your inner guidance - and not any outside authority - will always led you to the right place in the right time. To clarify: I do not consider myself lacking in self-trust or in trust in a higher power, though your suggestions are well-received. Uncertainty for me is a stance I take in regards to received information of all kinds. It is a form of mental hygiene if you will; or perhaps, a form of cognitive gong fu: a sure-fire way of not allowing my own mind to attach to any thought-forms generated by others, especially others whose identity's I am not certain of. In the case of Cobra, I very much appreciate his/her efforts to-date -- at face value. And, as I've said, I also have a certain intuitive resonance with the form and content of a number of Cobra's writings, including this latest post. But for me to really resonate with anyone or anything, uncertainty is a requirement. If I were to trade that in for well-meaning trust...it would not take much for that to turn into belief. I value intuitive resonance founded in cognitive uncertainty more. It's my own style, if you will -- how I choose to navigate the online world of received information at this potentially pivotal time and place. Also, uncertainty is a fail-safe preventative from being deceived. This is a real bonus. Just to clarify back, there was no evaluation or judgement on my part about the trust thingy. However, if I were to do so, I would then say that having self-trust would be implicit in navigating through uncertainty. The way you frame your perceptions is admirably fluid. As you said, uncertainty is something which can be embraced & used to advantage rather than a-voided. We humans are imprinted with the 'fear of the unknown' from the time of the childhood bogey man. My opinion is that it would be very difficult to be comfortable with an unknown quantity such as Cobra, without first being comfortable with both navigating 'the unknown' in an external capacity as well as having under one's belt navigation of the unknown reaches of one's own interior landscape - and subsequently emerging with an implicit trust in one's ability to discern. Understandably, some folks need 3d ID such as a name and a face, where there are others who are comfortable with reading the messages & the energy behind them, and then evaluating intuitively. I might be stretching it a bit, but since our intuitive faculties will blossom in the new paradigm , it almost seems as if landing on portal 2012 could be an exercise in developing and/or exercising this type of cognition for some. The time we are living in - the Great Shift - is mirroring this unknown quantity to us as well. Every birth - of a human being or of a New Age - is preceded by passing through the void - it is the womb of all creation. Astronomy shows us we will shortly be faced with the 'Mother of all voids' - as we hurtle towards the Galactic Center - a fertile place of unlimited potential. but for you to literally uplift the lower vibrations of the Earth... as you lifted yourselves up out of them. Numerous souls have individually ascended from your world. though many have tried and have helped to open up a line of connection with the ascended energies to your world. and this is one fundamental reason that a great many Lightworkers have taken to experiencing lower acts and acts of density throughout their various Lives. and transmute them on a massive level. as you are able to realize the lower nature which you had been experiencing, and transmute the lower nature. that we in the higher realms quite mean it when we say that the ascension of the Earth is being caused by your actions. Yes, this ascension has always been decreed and it was known that the mass incarnation of the Light forces unto your world was needed to attain such an ascension. It was needed... because of the lower acts that the souls upon your beautiful world have been feeding. that is seeing Her now able to exit the rungs of the lower dimensions and take those who are ready with Her. First in a long stream of people to tell you how much we've missed our "Potts-fix". Well said Pottsman. Looking forward to meeting you in person in Laguna! Never been to the West Coast, I'm excited! The key truly is to look inward and find the peace in your heart. The external will only get increasingly turned upside down, so let's stay balanced on the inside and do whatever we can to assist with the new world we are creating. In the grand scheme of time on this planet, this is all occuring within a blink of it...delays, big deal, this change is unimaginably massive and uncharacteristically FAST for any civilation. So appreciate the incredible speed of which our world is transforming and how quick we will transform through divine grace. No one wants to suffer or see others suffering it's heart breaking to delay this, but it won't be much longer, things truly are turning...you can feel it now, and the rise in energies in the run up to the end of the year will assure the old structures will topple. Seed's have been planted and watered and nurtured, so once they get taken down the rest will manifest pretty quickly. We should be rejoicing during this final and last push! External events are necessary and will trigger our next phase of evolution, but giving your power over to these events takes you away from your "now". All will happen at the right time for all, TRUST. I feel the cobrassss who are still here and not getting freaked out or fragmented by the process as this long awaited plan works its way through our reality will be greatly rewarded by their steadfast determination and faith. I have been very busy and unable to post due to my personal life changes. I am now living in Mt Shasta are and I have NOT distanced myself from Cobra nor do I plagiarize anybody or use others words unless I cite my source. Though some mad dogs and Englishmen `may speculate and try to promulgate lies to create dissension. In fact cobra and I are very excited at the amount of progress towards the event that the light forces have been making as of late. All archons and negative or hostile forces have not been neutralized or removed peacefully to other areas of space yet. They will be this will happen at the right time not cobras time my time your time but the right time. Rest assured this is divine action and will succeed our faith our love our holding sacred space and our continued allegiance to the light and truth and invoking spirit into all aspects of our beings and growing awareness are all vitally important parts of our collective efforts and mission of redemption for our planet. Do not be dissuaded by lack of mainstream acknowledgement it is coming. When it is here it will be undeniable and a great day for all challenging for many and emotionally charged for sure but all comes down to love in the end. I have felt a great sense of relief lately on my inner sadahna as the archon clearing though not complete has made way for much more powerful contact to spirit and the inner silence and the still small voice within. Continue forward fellow ground crew remain in the light or your own inner knowing revelations from your own eternal nature and your own internal guidance system have never been more accessible. do not rely on cobra channelings or gurus. Use these gifts but stand alone in your own presence tune to the divine within. Your will receive an answer from that part of your self which we all have been programmed to ignore. Reach out to other like-minded people gather in groups large and small and create solutions locally and globally and implement them in a service and philanthropic fashion. Light a candle and stop complaining in the darkness. Look in the mirror because that is who is going to save you not the government and no one does the work for you. You are not alone united we stand and divided we fall. Speak kindly with patience and have compassion for all of the drama that so many people put themselves through. Through all that we struggle and all that we pretend it is all in divine order and it does all come to love in the end. So make love the begging the middle and the end. What you think about and feel with emotion over time becomes your reality. So be at peace and hold the space intent and loving thoughts for your fellow life steams on earth and though our universe. You are important and you are responsible. Glad you're settled in at Mt Shasta! Seems a lot of us are in big transition mode...getting easier as the dross is being removed and the connection to Self is so much stronger. I have no doubt that all is well with the Plan. Going to the salt lake in Trona tomorrow to harvest crystal for the conference in November. Talk to you soon. So happy to see you back, Potts! I would like to work with some people who have time and are able to help me with a small mission. I am coordinating a press conference in LA after the 25th of November. We are taking " The Disclosure' process to the next level we are announcing enlightened contact with our space family of love and light. We will be explain many aspects of why the space family has asked us to bring forward once again a message of peace and love in regards to first contact and divine intervention. We are not the first, nor are we claiming that we are not the only ones to come forward with this message. However it is critical at this point in time that as many people as possible be made aware of what is transpiring and how the master plan of true interplanetary cultural exchange should be viewed as we progress toward open contact and mentoring. So that we can begin the long awaited freedom and liberation of earth we need media connected types to help us in this effort to have a press conference. We as a people can move forward with all haste and diligence without the government. All efforts to have "OFFICIAL" cooperation and acknowledgement are over. We are on our own so I am reaching out for help with LA based or media type people to contact me to help me plan this public announcement. We fully expect to be marginilazed and ridiculed or even completely ignored by the MSM press. Still we are hoping the youtube will go viral and that our humble effort meets with some success. So if you feel the call please feel free to contact me by e-mail. rlpmortgage@yahoo.com. I just had an "It's all gonna be okay" moment and as I looked up, a single feather was floating down to the ground, illuminated by sunshine. Thank you for the detailed update cobra! Welcome back potts! You were indeed missed! Let us not be wussies. Haha! Well said...gotta pick ourselves up and dust off once in awhile. No wussing out! What is there to resist? This is very much of a "dualistic" mindset and the traps it brings. If one "ascends," truly expands one's consciousness and light body to de-materialize and materialize at will..then all this talk of $$ and the fraudlent monetary system and the wars of light vs. dark is nothing more than 4D drama. Mother Earth is ascending to a higher state of being and ride with her in compassion, love, enlightenment, beauty, peace, understanding, compassion and so on. She won't let you down. The rest is all distortion from progammed humans and their limited, duality belief systems. Don't be fooled. Stand in your OWN personal power and not outside yourself or hitching your wagon to other people. Peace out. If you are like me, you are dead tired of this reality and aren't too keen about experiencing a minute more of it than necessary. My feeling is that now more than ever it is time, in this final ascent, to start doing double duty to raise the frequency of this beloved planet and every human being and living creature on it. It looks like the key here is to reach critical mass on the non-physical planes. What can we do to expedite this - both as a group and individually ? 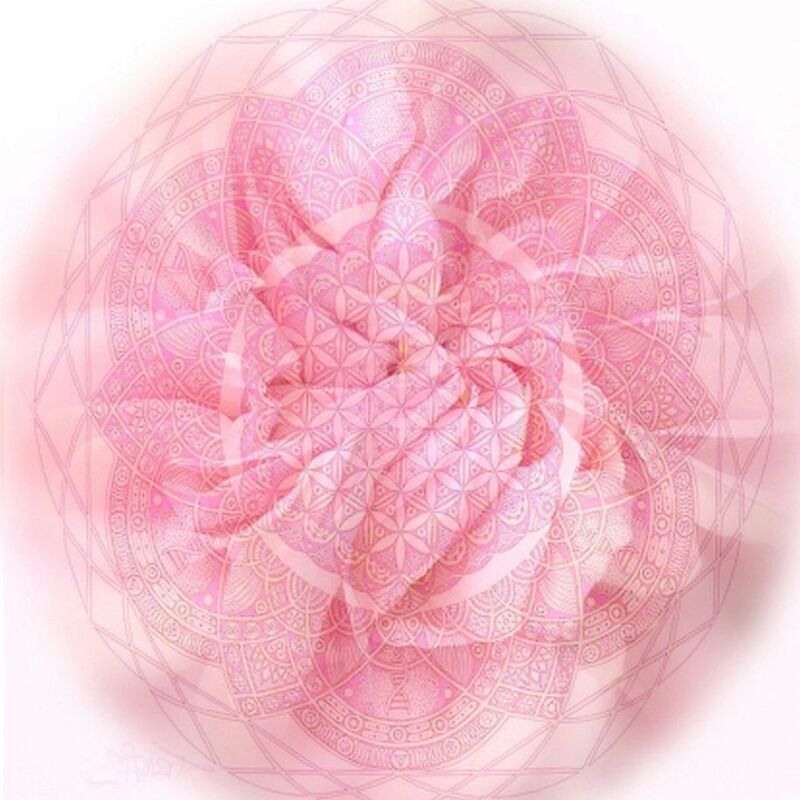 I am making a committment as of RIGHT NOW, to live up to my contracts to shift this planet and am now doubling my sadhana - or spiritual practice, as well as expanding efforts to bring in the Divine Feminine. Widening of all local portals results from the 10-10. 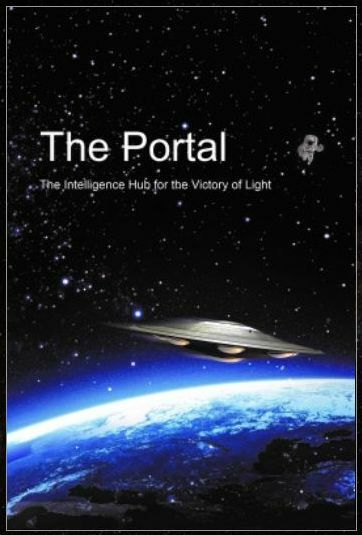 Expansion in regional size and intensity of permitted Light flow via these portals. This occurs in agreement with Gaia intention to expand attraction of Higher Dimensions to maximum number of un-wakened humans. Operational details are revealed as Ground Crews align with local portals. I LOVE YOU, MY SISTER!!! WELL DONE! 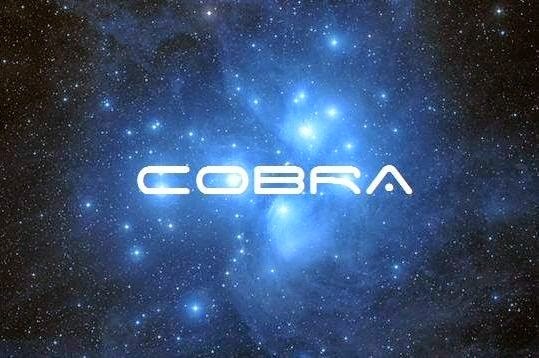 Cobra, I think there is nothing that we could, or should even try to do about those Light Warriors, who were "infiltrated" and became currupted. Until the day of knowing what did REALY happened to them, I will not judge them. As you said, "This whole operation NEEDS to be coordinated by beings WISER than surface humanity to be successful". So, I think, we have to wait for that day. It's not easy to fight against human ego. But for our Cosmic Family - it's a piece of a "Heavenly cake..."
THE BEST WAY TO FIGHT and be successful, will be achieved by the small groups like US. WE MIGHT BE SMALL, but by keeping the Light inside of our hearts, and the picture of the GOLDEN AGE inside of our eyes... by sending our Love and prayers to all over the world, WE, THE SMALL ONES WILL BECOME THE MIGHTY ONES! Because WE ARE THE MASTERS WHO CAME BACK TO FIGHT THE FINAL BATTLE. AND TOGETHER, WE WILL BE VICTORIOUS THIS TIME! You asked.... any idea's from us about how to reduce the fragmentation of positive groups and achieve more unity amongst us. HEAR YE, HEAR Ye I have been on this mission for quite sometime now and I have pitched this to everyone and I mean everyone, all musicians with pull and influence, other "light workers" You included. I have pitched this to our president - He did respond via mail. It was the most hopeful feeling as I approached the large manila envelope, stamped with "The White House" sitting on my front porch. Though the response was not quite what I was looking for.... Im just going to take it as"Yes We Can". The plan is simple - An " original Thanksgiving" so to speak sharing Music, Art, and Culture (originally set annually on 9-11) The idea is for humanity to come together without the distractions of media, politics, ect - A Day for us! A day to get to know/love thy neighbor... A day for our community hero's, A day for our local farmers, A day for the little people with big idea's .... a Day for our original culture. the bigger picture here is to have musicians from all decades, all genre's play from chosen location and broadcast nation wide while we picnic sharing our skills, gifts, talents, and innovations. We do not need the government to create our jobs. They are not capable of this , only WE are. We no longer need a king and queen running our country. We are capable of running ourselves....... whoever told you otherwise is a liar. It is time - As the dali lama says ... "Have more picnics, Then talk serious" we must take time off from corporate america in INCORPORATE Love. Petition online www.change.org "The Painted Lady X Projects" Perhaps we can make this happen sooner than later..... THanksgiving 2012 ??? Cobra- I suggest getting new rounds of workers every few years. The current "surface group light forces" have been working too long on this and whoever is in charge of recruiting needs to bring new fresh blood in. Just hope everything you wrote here will be read by lots of people. We/They need to know what's really going on. Who we are, where we come from, why are we here and what is the nature of reality have been questions I have diligently sought the answers to since I was 8 years old and felt a "Calling". I would like to share my personal perspective on these deep subjects, which have burned inside my heart for so long. Though my personal views on these subjects are from my own experiences and the conclusions are my own, I want to make it clear that IAM not trying to claim my understanding is correct or valid for anyone but myself. I do feel an obligation to share the many teachings which have been so lovingly been given to me. I hope these ideas will resonate with some and provide some light on the path for my fellow seekers. These words are only a description cannot possibly contain the omnipresent and omnipotent infinite presence that is creation itself. So please forgive any errors. There are many ways and levels to try and objectify our existence and who we are in relation to the whole. We are also faced with the paradox in that we are the subjects of our own subjective reflection and our limited perspective regardless of how objective we wish to remain. The reason aspect of the mind is further hindered by is inability to grasp or contain the infinite. The feeling nature of being and the mystery of consciousness should be an eternal and ever expanding revelation of the spirit of truth as it moves through creation. All personal experiences must be honored as each individual experiences truth from their own vantage point. Each individual who returns the light and offers all his or her actions to the whole or divine mind becomes the Christ or the redemptive vehicle of transmutation. Thus step by step little by little we embody the collective messiah. Each individual determines their own light quotient by the freedom of their choices in any given present moment. One of the most basic descriptions or answers to the question of who are we, that I have experienced is that we are luminous beings. I have seen that we are from a certain perspective/description one viewpoint a nameless cluster of feelings that is composed of living light. We are self-contained whole light beings and filaments of consciousness comprise our Auric Eggs. We are connected to the world through corpuscles of living light. We can by virtue of this awareness we learn to grow and love and share the light. This "lighted connection" to the universal self or high self is intuitional based and is as natural as walking and drinking water. When one follows the path with heart and sees a loving creator and a brother and sister behind every face we meet, then we are fast on the way to great changes and a prosperous life. The divine masculine and feminine vortexes of creation are manifest in our beings and part of the dance of life as we are reflections of this basic life force principal. Through following the breath form and meditating on the IAM self and perfect concentration we can vilify and vivify our various bodies into a harmony with subtle emanations that spring forth from our center. From an earthly plane of limited consciousness that sees only the body and the senses and is enmeshed in a self-imposed world of uncontrollable thoughts and desires forces, the world is a harsh cold place. This type of attachment to the material world and the transitory illusory nature or reality is the cause of suffering. The physical body is a complex combination of spirit and matter. We as ethereal non-material spirits are infinite light beings projecting our consciousness and indwelling into bodies of dense matter. There is no more worthy goal than to pay perfect homage to the temple of flesh which our vehicle for spirit. This light body is expressed in the physical plane through the body, which is a physiological electro chemical community of cells. The nature of the material body is magical in its symmetry and perfection of order. We have a tubular or digestive body, we have a nervous system whose body is comprised of 3 different nervous systems. We have a skeletal system and an organ system as well as a circulatory or blood system. The body simply is very complex an amazing gift and an expression of Gods love. The true self or IAM presence, which is the essence of our personality and identity, is beyond all space and time and material limitations. The IAM is our own individual spark of the infinite light. It is literally that which retains its identity in the midst of change. This presence can be contacted and communicated with quite easily as it is our true self. The actual soul awareness that is the knower, the thinker and the doer is also the Mighty IAM Presence. 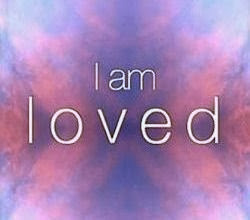 This IAM presence is connected throughout all times bodies and states of being and is consciousness it is YOU! The difficulty is that we do not retain conscious memory of our previous awareness before birth. This awareness has been deliberately made difficult to grasp and understand. Those with this knowledge of the Eternal nature of the soul and the secret of eternal life are hard pressed to find students able to grasp and practice the this "way of the eternal' or the good news. It is hoped that as time progresses more will consciously seek this growth process and light expansion . The realizations are coming now in ever expanding feelings of understanding and forgiveness. People the world over are awakening to the truth of the power of love the fact that the kingdom of god is a state of being and mind independent of vagaries of change in the material world. In another sense we are infinite sparks of the living flame or logos/word fragments of the whole, divine embodiments of love, individual reflections of the never-ending perpetual miracle of constant change. 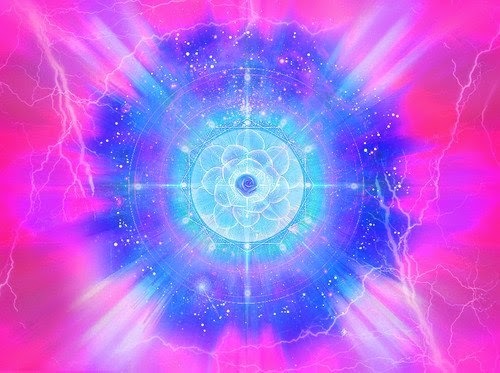 Within the change we are, witnessing the ever-renewable Holographic vortex as it is, pulsing harmony throughout itself. The sea of bliss has been said to be a virtual ocean of love and mercy. Infinite reflections of the eternal living presence of God, which lives in and moves through all forms and at the same, time IS ALL FORMS. Just as a drop of seawater will become foul when kept apart from the ocean so will a distracted mind, become less pure when, intentionally or not, forgets its divine nature or IAM Presence. By seeking the unmanifested light truth, through devotion and self realization, instead of the transitory sense based pleasure material products or illusory world of endless desire, we transcend our limitations by our identification with that which is the source of all that is good beautiful and true, the eternal spirit. The victory of the light and the removal of archons and lower astral impediments to self-realization have marked a powerful and profound opportunity for advancement. I thought at first the changes in my feelings as of late were due to my move to Mt Shasta area. Though the Mt Shasta vortex is definitely a factor I must say I feel a deep sense of calm and confidence in the working of light in my personal life. My adherence to the path seems much more assured and my confidence in the positive change that is being felt at this time by others gives me real hope and joy that real lasting peace is inevitable in my lifetime. As we become more responsible and capable the veils of amnesia are wearing thin more and more people are remembering that they have been alive before. This actualization and remembrances of our eternal nature are key to us developing as Galactic humans. The imposition by archon and fallen masters of a false reality matrix and the jamming of frequencies from the overself have wreaked havoc on our souls the search and understanding of truth. This incessant toxic food, air,Haarp, chemtrail, vaccination, genetic altering, mind control technology protocal of enslavement instigated at the core level of society and reinforced through sophisticated methodologies will be rendered impotent as humanity collectively realizes that it is responsible for its own suffering and pain by giving the hostile force the support it requires by its own unbalanced thoughts words deeds and actions. Starve the Archons. They feed on spurious unbalanced emotional psychic energy like vampires. The mind and be archon free! These amoebas like energy forms are also known as critters by Trevor Constable who continued Reichs work with orgone generators, which harassed these entities by virtue of the light technology. Don Juan has called these life force suckers the mud shadows. By entering the silence and refusing to give the lower personality desire nature any attention these Archons are forced to flee from a lighted awareness. Your own power of decision in every moment to take the higher path is your key to freedom and true spiritual liberation. Viveka or discrimination will allow you cut away all negative thoughts and habits which as destructive tendencies do lower our awareness. Invading forces have for too long kept mankind hostage to his own ignorance literally an emotional child barely able to live 100 years in one body. This stunted lifetime growth periods has fed a cycle of destruction and ignorance and made it nigh impossible for man to even understand his true nature let alone find the truth and discipline to practice the presence and develop himself by storing personal power. We must all recognize eventually that by storing personal power through discipline and control of the mind we will actually embody the realization of our familial nature and treat each other as parts of ourselves. We are family and as the laws of the universe allows it we will soon end the cat and mouse hide and seek game of confusion and misunderstanding. The reality of the ET presence will when openly acknowledged and allowed to manifest peacefully amongst all mankind will signal a golden age of light love and growth never seen on our world. We all await this day with hope love and expectation for a more fulfilling world to come. May the kingdom come quickly and may we all hasten the day of our deliverence. Yeah, that was awesome pottsman. Lately i've been reading some stuff on astral planes and their influences on humanity etc. The important thing that i've noticed is that those creatures do have fear. They are actually very fearful beings, hence the constant attacks on lightworkers. If they uploaded their mind unto us, then most of the basic mindset must be theirs. The fear of unknown and cessation of the existence is not ours, but theirs. Why else do they fight so hard against the light, truth and courage? Because they will lose their power instantly. This brings me some compassion to them, coz they must be such pitiful beings, who need to defend their source of food to all costs (source of food is us, the humanity). The fear is a weak spot, if you think groundly it exposes their vulnerability. What would do you, if your opponent is fearful? Thank YOU so much, Rob. And welcome back! We really missed your energy around here. #1. Because it is obvious that humans have been long manipulated to fall into the "money buys happiness mindset", it is imperative, that we stop this focus on money. Collapse the system, Do not re-enter the money game back into the system at all or at least for a long time. Instead supply free energy, food replicators, healing chambers, transportation free of fossil fuel. Fill the empty houses with the homeless. Placing these gifts, will mean that no one will have to suffer need. Allow all loans to default. This is their greatest manipulative control over mankind. It has long been known that 'if we have nothing left to loose' we are more likely to take a stand. #2.As per your quote; "This whole operation needs to be coordinated by beings wiser than surface humanity to be successful". I have felt this for a long time. Humans have been infested with some of the worst traits through control mechanisms like religion, finances, and power structures. They are still filled with hate, and mistrust and incredible fear. Many who have started to awaken are still unable to cross one duality (such as politics) with the other dualities (like religion). I see a number of awakened individuals who have to be reminded every day of what is happening (like the movie "GroundHog Day"). Much of this is because of the extreme effort to dumb down society with chemicals, and brain washing. #3. As soon as possible, re-education must begin. Disclosure is an important part of the process humans are undergoing. They need to know the truth, the truth of their history, the truth of their financial and religious control structures, the manipulation of their dna, and the reason they have been controlled to the ultimate goal of slavery. This is not something they will understand in bits and pieces. But if the aliens saw to it that humans received all the gifts to take care of them, all the things deprived to them, the people would become much more accepting and the aliens would be seen as the caring compassionate loving brothers and sisters that have come to help us become who we are meant to be. The light is increasing, the soul must be unlocked to allow the light to shine, and there is no doubt that things are moving very fast. I see this as still possible by the end of the year. Lisa I think the Painted Lady X Projects are a wild idea, I hope some good organizers can get this underway and accomplished, but I would like to something similar in every community at least once a month or more often, rather than once a year. All my Light and Love to all of you. I especially send a special protection to Cobra, chin up, we are going to get this done, we cannot be stopped. For all you do for all of us our love surrounds you, and our light shines strong in every corner. So it is. I totally agree. I don't know why we need a transition. If no money is involved that takes away that issue which is toxic. I like the Venus Project. If everything is free why do we need money? I also agree with everything else stated. There will be need for healing and I learned the heart based system I use from Dr. Jae Inglish who quietly over decades developed a love based program that works with anyone and frankly we could all use it as situations cause us all to change levels of function in various axis of knowledge and awareness to change our skills in life. Darling, I don't think Cobra, or anybody else, have the EXACT, or even a closer time period for the EVENT. As he says, it will happen, WHEN the first two phases will be fulfilled. yes, of course HYE ANGEL, you are right. I am in agreement with you and have an understanding of the situation. Lots of L&L back dear ! Thankyou Cobra for a very clear update. I find the delays fustrating ...but I prefer the delays , if that means getting everything right, in place and all eventuallities covered ..than chaos! We are all different beings, some of us will go in one way, others in another. There is no one path for all. This time is time for dividing. We all used to thing that we are one mankind and all we will go in one place. But this is not truth. So everybody will go where he deserves and where he want. So we must choose our group..or our alone-ness. One will still play his game on this earth and even will not notice that many others have gone elsewhere. In fact I suspect this has happened many times before. The end of this world for some people was unnoticed for the rest of us and that's why we think that now is the time...now is the time for us, for others the time was ago, for others - some in the future. We are "cocked" and some portions were ready before us and they went up. And some are fake so maybe they won't be ready - never. 1. To be able to give and to receive enjoyment for giving. 2. People that have tested the taste of light. The taste of light is much sweeter than the taste of money. And they will aim to the light, so they will use money as a tool to receive more light. Because everybody is greedy, I suspect, but you can use the greed in positive way - who is greedy to receive more light, will act different than who is greedy to receive more money. I think the money are the connection between our world and the higher world, they are the highest vibration in this dimension and people starve to them, because they always starve to the highest possible level. But who has tasted the level above money, will starve to this level. More confusing than ever. I have now to double step back and allow my being to observe what is transpiring and choose only loving and caring messages from now on. No more emotions to 3D stuff! I have been in counseling for about 30 years and there is only one person and one system I have ever seen that works with even the most hard to reach-like the very powerful. People at the "bottom" are easy. It is based on the principles of love but in this case Dr. Inglish is the only person I know who could help. Dr. Jae Inglish, TheInglishMotivationalEnhancementMethod.com is the website and will give you some perspective on who she is and how the system works. If you want to resolve conflicts as above she is the person who people go to when everything else fails. It is a love based system and she is a powerful healer but out of the mainstream of networks. thank you Cherie, this information sounds encouraging. So you don't think "The Event", which precedes First Contact, will have any effect upon the majority of us? Also, once The Event happens, those working for the light will be far more enabled to affect change in people, since The Event will create a situation that they MUST be aware of en mass. One thing I don't understand. How come the Galactics with their highly advanced technology did not foresee and warn the ground troops about the infiltration by the critters? Anything is possible in this illusory world, it just takes a little 'miracle'. Mass arrests and ascension NOW! we must unify in diversity. John Darcy! Who's side are you on! Don't you remember when you were little and loved all creatures? We are all born with pure loving hearts which get corrupted through the mass hypnosis done by the Cabal through education, TV and day to day life in their darkness. Obviously, they have done a good job on you, sir. All one has to do is reach within to that place of pure LOVE that is everpresent. Do this and re-awaken that magical memory of LOVE and non judgement from your innocent beginnings here. Do your part for the LIGHT FORCES. If all would just do this simple thing, we will prevail! Please try. Otherwise, you should stay away from any place that's positive so as to stop dragging the good hearted down with you. Namaste. This is the best news ever! Thank you so much. This feels correct, and explains a lot, especially the delays. Thank you! This is good, I AM Love! I feel the part about dreams is especially true for me right now. 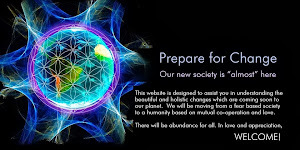 "We are happy to confirm for you that the subjects, clarity, and recall of your dreaming consciousness have changed dramatically over the last days, as they have for many. This will continue as long as you make it a priority. Congratulations." I'm creating my reality more consciously and getting confirmations through my dreams. Tom Kenyon is bringing through some great tools for creating, been using this every day, too. Not to abscond from my personal responsibility, but I think it's better to allow the Pleiadians/Resistance Movement to make the first big push and just have The Event happen already. Once something major, tangible, and undeniably impactful happens, it will be easier to move forward from there. We'll never get anywhere with all the squabbling, nit-picking, accusations and other wime-wasting nonsense. 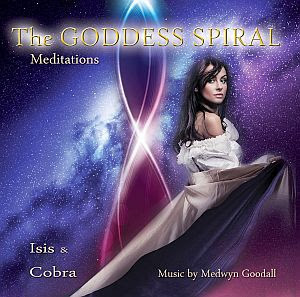 Cobra seems to be one of the few "well-known" Lightworkers who really has his sh*t together, and so I have confidence in that the Masterplan is the way to go. It's a shame that the Lightworker community is so fragmented now. I guess it's to be expected, seeing as the Cabal specializes in the "divide and conquer" strategy. There are a ton of rumors circulating in the blogosphere about the credibility of various Lightworkers; apparently Ben Fulford is now "outed as an MI-5 operative", that Drake is apparently "all talk and no walk", and other such confusion. Cobra has been remarkably focused, consistent & straightforward throughout all of this, and we should be equally focused in whatever way we can, especially since the Day of Decision is fast approaching. Solidarity to all of you. yes nectar cycle, the fragmentation within the light community is saddening. Maybe we just haven't learned yet how powerful we are, and how our thoughts and actions are reverberating out into the ethers, affecting all that it comes into contact with, by the quality of that energy. There is much judgement about who's path is 'right', who's teachings, intel etc. is superior to others, and some unfortunate and misguided labelling of cabal and disinformation going on as well. There is also a new class of lightworkers which have developed which I call the 'lightsavers' - those who with the best of intentions, feel a need to coerce others into following their personal truths. We all need to understand that there is no all encompassing body of information out there, but each carries a piece to the puzzle, and respect the path that others have chosen to follow on their way back home. The only place the wholeness of Truth resides is within. Ancient truths have withstood the test of time. We will stay STRONG and UNIFIED until LOVE is all that remains. Excuse my ignorance, but can anyone tell me what the "event" is that COBRA is talking about here? No one that I've read knows exactly what it is. Mostly just what it isn't. If you were following this blog from the beginning, a lot was explained as things unfolded. Here's a bit from the archives. 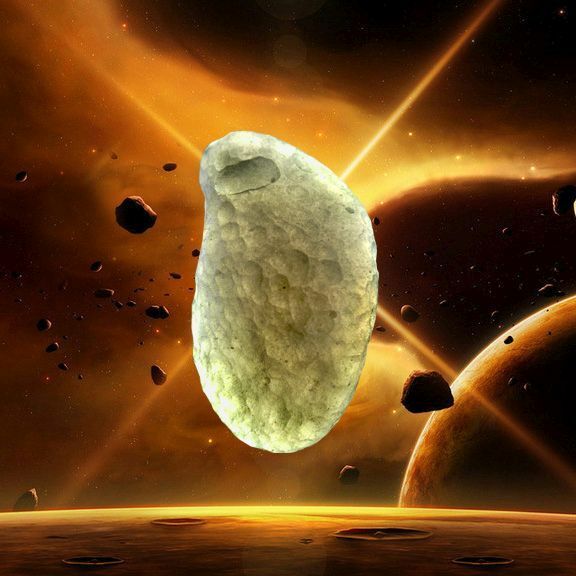 The Light forces of the Resistance Movement are advancing from the underground up towards the surface of the planet. The ongoing process of compression means that Light will expose everything that is hidden, collectively and individually. When the Light from above and the Light from below meet right on the surface of the planet, this will be the moment of compression breakthrough, also known as The Event. The Event will include the mass arrests of the Cabal and will be a multidimensional trigger that starts the process of entering into the long-awaited Golden Age. With the darkness removed, humanity will be able to co-create its own future. Thanks for the clarity. Much appreciated. "Now the disclosure is peaking, humanity's temporal Consensus has been created. These are last ten home cycles, get ready to make Your final decision. 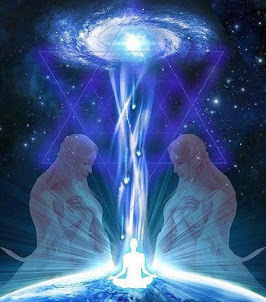 We all are watching and listening for it, Energy vibration are high, Your consciousness is active at Unity level.﻿ You are ready to make Your final decision. Make this choice as right as possible based on all that predated You and all that will be predated by You! Peace from the Forces of One to Sophia and all who follows our answer.An answer which is not known to many, but﻿ only few,﻿ the chosen." I'm concerned about your last statement: "... only the first part of Plan 2012 (the Event) may happen in 2012. The rest of the plan (Restructuring and First Contact) will happen later." With myriads of variables (mostly beyond 3D-understanding) influencing our future which cannot be predicted and attached to specific dates even by Ascended Masters, Archangels and ETs, how do you know when anything will happened? Your above statement may act like mind programming and prevent people from hoping, thinking, and, thus, manifesting good things to happen sooner than you tell them. Please be careful with your conclusions and wording. The true light cannot be corrupted by ego which is the core principle for the dark side. Even conscious, well-intentioned lightworkers can be too uptight, fastidious, get caught up in avoiding negativity rather than transmuting it with love, get attached to lofty concepts and can get trapped in subtle layers of the ego-onion. It's only when all the layers are seen through and recognized can we let them go and allow only the highest vibration to flow through which is total love without conditions or egoic investment. In this brightest of light all falsities, ego voices and chances for thought believing become impossible so trickery and hidden, dark agendas cannot infiltrate. Through this awareness of what is, of real love and developing our intuition and deeper listening ability can we weed out the charlatans and masqueraders. Adaptable, fluid, non-dualistic, neutral to all concepts, empty of all content in consciousness yet being honest, loving, always like a child willing to learn new things, compassionate, having a sense of humor and not taking one's self too seriously is the way to be. As Bruce Lee once said, "Be like water my friend." In theory we know what' the way to be, but what percentage of people is now developed that way? The majority is still in the process of awakening and learning to discern good from evil. Monar, according to my sources and what seems to feel right intuitively the process going on here is move, be moved or be removed. Mother Earth and the true light forces have had enough with the immature games. Those that are delaying this transition and causing setbacks don't really want this new paradigm to happen...they are afraid of losing their silly attachments to meaningless things when Heaven on Earth is 100 times better. Where they're at in their evolution they're not ready for this and will phase out to another place of 3rd density and live out their lifetimes elsewhere. They cannot continue with us if we have to drag them to the finish line while they're kicking and screaming 'bloody murder'. You can bring a horse to water but you can't make him drink. In other words, these beings that are resisting the light will be free to move on to a place that suits where they're at in their evoluton. There have been more than enough opportunities for immature sentient beings to get it together and even become self-realized but too many of them keep falling for lies and superficial things. It's especially bad here in America but the upside is the opportunity for tremendous positive change as well. The light is getting stronger. I'm seeing ships most likely not from this planet made of light flying around near my home. I sense they like the landscape and nature here. Keep it coming. David, my understanding is that evolvement of humanity as a whole beyond 5D will be delayed until those who are left in 3D will catch up, so I want as many people as possible to ascend now. Monar, like yourself I deeply care and have compassion for all beings, even the most demented and violent. It's no being's natural state to be abusive or to want to harm. However, these evil-doing people and those that are unwilling or afraid of change and just want to keep living in the matrix of imprisonment, this golden age is not for them. The age of the soul comes into play here. More immature souls hopelessly hypnotized and addicted to lower vibrations continue on their slower evolutionary track while the older souls, some perhaps confused but well-intentioned, get to enjoy a much faster evolution and eventual ascension or awakening when they're ready. 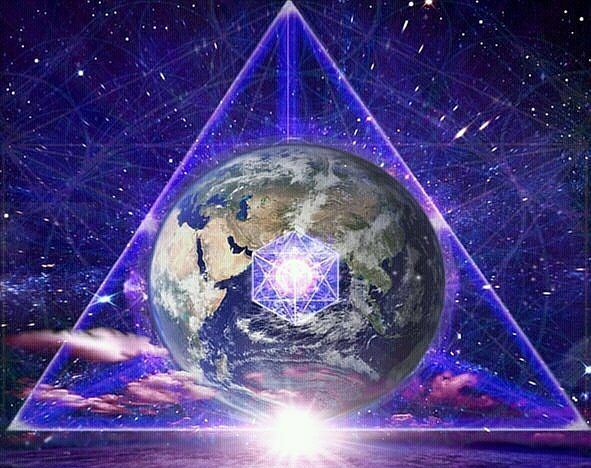 The world needs to raise in vibration significantly enough though so that nobody has to pay to live on this planet anymore and so we don't get tricked into another form of control. No more bills, no big banks or wealthy cabals who cause poverty, no need for money...food, water, energy, transportation, housing and education are all free. We should also be able to explore inner and outer space together and learn the truth about everything that's been suppressed. People will need time to decompress and come back to reality if they've been mind-controlled and yes, I want those folks aboard this spaceship Earth when the major changes start coming. Hi Cobra, are you familiar with the silver legion? They've worked with the archons and maybe are doing now so. Tolec is another person to contact for assistance. See you in Laguna Beach. Very excited to finally meet you. Dear Cobra: Bravo! Count on me. I have invited my family and friends to do this meditation along with prayers and decrees for this day. I feel wonder and amazement to be able to come to this blog and realize that so many others are conscious and aware. What a great gift, just to be part of this. Thanks to you all! To my dear Pleaidian Sisters and Brothers: PICK ME! PICK ME! Like a kid in gradeschool who thinks she knows the answer, my hand is raised and waving: Pick me, Pick me! I will help! Hello, Cobrassss, and hello Cobra! I've been thinking this for a along time now. But I hesitated to talk about it, because Cobra wants to keep it as a secret. But when I see that more and more people are asking about it... I just felt to give it a shot, and talk. (Cobra, if this should stay as a secret, please remove asap). WHAT IS THE "EVENT"? And why is Cobra thinking/convinced/sure, that it's THE ONLY thing that will HAPPEN in 2012? How come that the dark ones are powerless to STOP it? And why is that, only, after when it happens, ALL other phases/plans will get "THE GREEN LIGHT.?" This is what I think - "THE EVENT" IS AN ASTRONOMICAL EVENT. Therefore it CAN"T BE postponned, it can't be prevented/attacked by the darks, or by anybody in fact... except by the CREATOR ITself. IT IS THE GALACTIC ALIGNMENT, WHEN THE WHOLE PLANETS IN THE SOLAR SYSTEM, AND THE SOLAR SYSTEM ITSELF, WILL BE ALIGNED WITH THE GREAT CENTRAL SUN, AND WITH THE CENTER OF OUR MILKY WAY GALAXY. 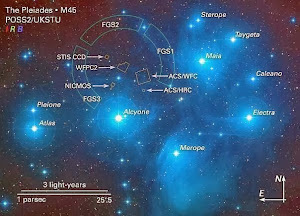 ALSO, WE WIL BE COMPLETELY INSIDE OF THE PHOTON BELT. That's what the Mayan/Pleiadean calendar is all about. And it will happen exactly on 12-21-12, and we will say "bye-bye" to the Linear time. On that day, the Cosmic waves coming directly from the Godhead/Source, AND THE LIGHT/VIBES/WAVES INSIDE OF THE PHOTON BELT, will be so tremendous and powerful, that NOT A SINGLE DARK entity will survive.... BUT THE "CHILDREN OF THE LIGHT" will become THE BEINGS OF THE LIGHT, ANGELS, ASCENDED MASTERS, GODS AND GODDESSES! It might NOT happen at once, (though some sources say so), but that will be the crucial TURNING point for the Golden Age, and for the birthing of the new humanity. THAT WILL BE THE LONG AWAITED "EVENT". PEACE AND LOVE TO ALL!!! Just a slight correction all of the planets and or sun align perfectly with the spiral edge of the galaxy. If you look at the galaxy from above you will see an outward spiral, no t just our solar system but all the planets in our solar system align with this edge. While we are waiting for "The Event" or "Disclosure" there is no need to sit idly. We ourselves are the architects of the new world. Every bit helps. "THE NEW WORLD is so close now. It would be appropriate for us to describe it in this way. You are as an architect … the plans have been drawn … The final ‘ok’ has been stamped upon them. You have the go ahead and now all there is to do is to ‘build it’. It all works on paper. The design is flawless. All that is needed are the ‘materials’ in order to create it into reality. ... We speak of a gradual process and we do not deny this. Yet we also state that there is ‘SOMETHING COMING’ that one will mark as ‘The starting point’ … The ‘Moment when it all began’ if you like ." When the person is ready, the event comes. Not Before!! We can wait for a miracle or we can prepare for the miracle or we can HAPPEN the miracle. ...Because of all human factor induced delays, only the first part of Plan 2012 (the Event) may happen in 2012. " 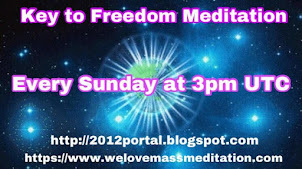 See you at the meditation. What I feel intuitively, is that what many people view as a "delay" or a "setback" is actually nothing of the sort. Everything will happen exactly as it is supposed to, exactly "when" it is supposed to. The universe is an unstoppable force, it is the most monumental and powerful being that has ever existed. One does not "delay" or hinder the workings of the universe. It just is. Good link to check out. This makes a lot of sense to me, how the Archon virus has been infiltrating positive factions, causing a delay in the Event taking place, something I have felt for a while now. This further validates the importance of diving within to connect with source and focusing on the higher energies of unconditional love. Thank you Cobra. Such an intel. I will translate it into my language and inform my team mates. And also the public. However very few of it can access my blog so far. Anyway, thank you very much, Cobra.